We live in a digital world. With the popularity of sites like Instagram, many people consider themselves photographers these days, whether amateur hobbyists, professionals, or something in between. My phone is full of hundreds of pictures ranging from my travels to my family to random things I love, like books, scenery, and the things I collect. I’m always looking for unique ways to display my photos - bonus points if it’s in a meaningful, artistic, and/or functional way. 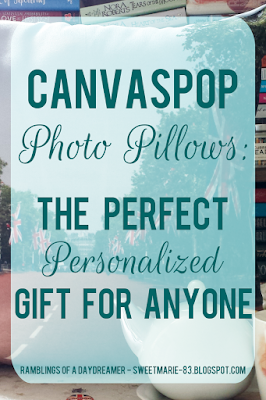 If you’re perpetually on the look-out like I am, I have the perfect solution for you: photo pillows from CanvasPop. 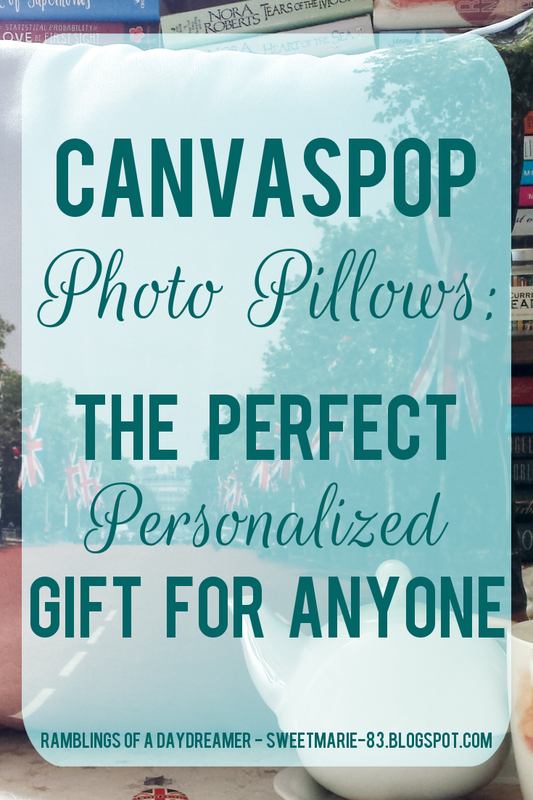 CanvasPop is known for their beautiful and high-quality canvas prints in various sizes, but with the addition of photo pillows to their site, you can get even more creative. I personally have limited wall space, and if you’re anything like me - an avid Instagrammer (and bookstagrammer) - you might be looking for something that’s not only beautiful and functional in your home, but that can also be incorporated into your photos in a number of unique ways. These pillows would make a lovely addition to any home. They’re the perfect gift for any person and any occasion. For my mum, I’d get one with her favourite picture of my niece and nephews. For my brother, I’d use a picture of the huge black bear he snapped once in the woods, or his beloved ginger cat Rosie. 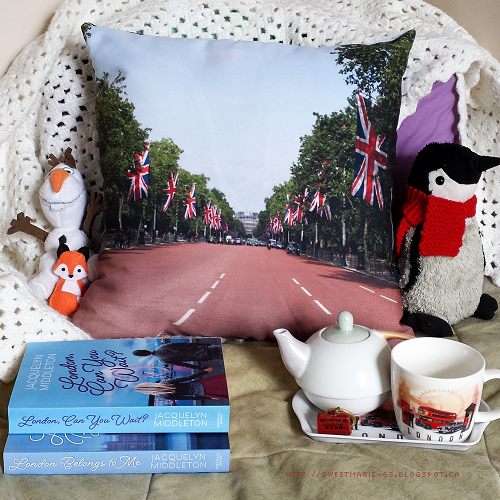 For my bestie, I’d use a picture of her rescue cats, or one of the thousands of photos from our 2015 European adventure (like the picture of London used in my pillow shown above). 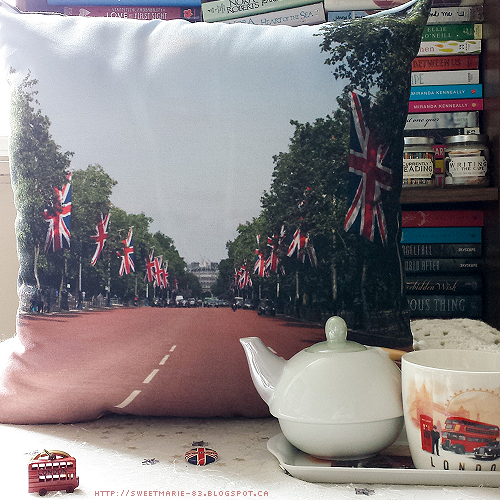 I could happily fill my own home with photo pillows. In fact, I spent days narrowing it down to this photo of London. My other choices were pictures of my niece and nephews, a photo I took recently of my bookshelves, scenes of Paris and Rome from my trip in 2015, and any of my book covers. I was even tempted to use the picture of myself taken at Platform 9 ¾ in London, rocking my Ravenclaw scarf. I have a love/hate relationship with buying gifts for people. I like personal, meaningful gifts, but some people are nearly impossible to shop for. I wouldn’t hesitate to get one of these photo pillows for any of my friends or family members. These 18 x 18 pillows are well made, durable, and the colours are so vibrant. 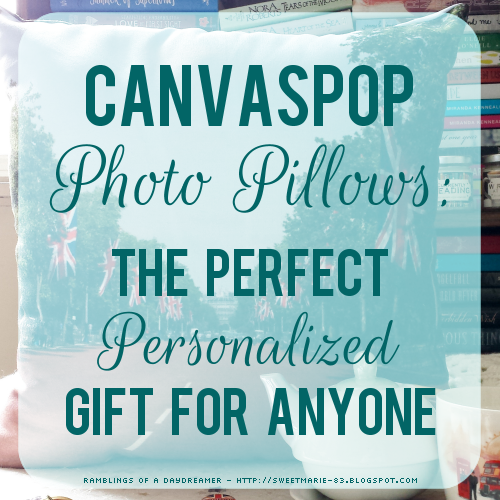 If you’re looking for a unique way to use your own photographs or you want a personalized gift for someone special, a photo pillow is sure to be a hit. If you were to get a photo pillow, either for yourself or as a gift for someone, what image would you choose? This post was written in partnership with CanvasPop. In accordance with FTC guidelines, I received the pictured photo pillow for free, in exchange for sharing my honest thoughts and opinions. All thoughts are my own.